Merging the teaching of art innovation through design with traditional art media taught in K–12 art programs, this book introduces art theories and histories in design, offers classroom-tested pedagogical approaches that emphasize innovation, and includes a wealth of graphics and stories about bringing in curiosity, play, and creativity into the classroom. 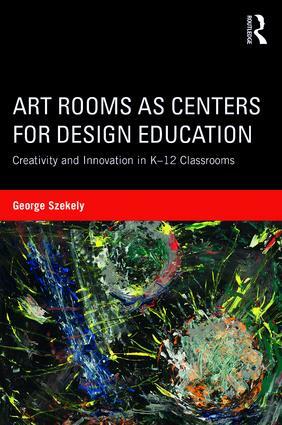 Interspersed with engaging personal narratives and anecdotes, George Szekely paints a picture of transformed art classrooms, and shows how art teachers can effectively foster student risk-taking and learning with new teaching pedagogies and methodologies. By breaking down how teacher encouragement and stimulating classroom environments can empower students and motivate them to challenge themselves, Szekely demonstrates how art rooms become sites where children act as critical makers and builders and are positioned to make major social contributions to the school and beyond. George Szekely is Senior Professor and Area Head of Art Education at the University of Kentucky, USA.